A dirty air filter in your heating/cooling system can damage your equipment by not letting air circulate properly. This could end up costing you a lot of money in repairs or even replacement. 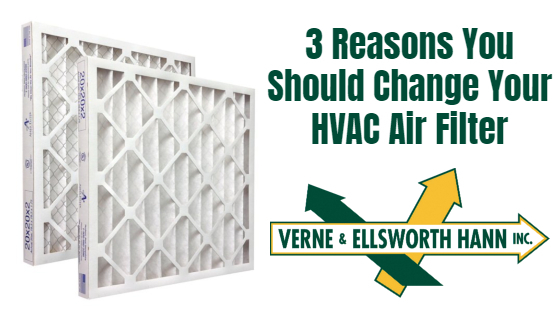 A clean air filter means cleaner air in your home. This can help those who suffer from allergies and cut down on the amount of dust in your home. Your utility bills could be higher if your air filter is dirty. The system must work harder therefore increasing your cost to run the unit. It’s such a simple thing, the air filter, yet so many of us don’t take the time to check or replace it. Verne & Ellsworth Hann, heating and cooling specialists, recommend annual maintenance on your heating and cooling system. Our expert technicians will be sure to check and/or replace your air filter. This will avoid unnecessary repair costs down the road and help you and your family breathe easier. Verne & Ellsworth Hann is the ONLY Hann family heating, cooling and plumbing company in Cleveland and is owned and operated by brothers Bill and Chris Hann. 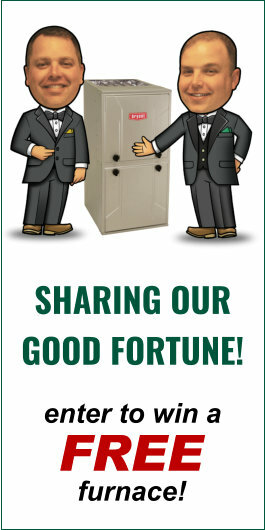 For 5 generations of experience, contact Verne & Ellsworth Hann at (216) 932-9755 or VEHbrothers.com.